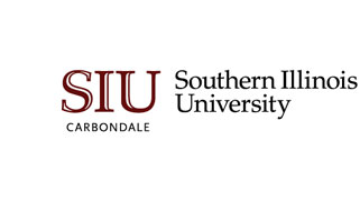 Position: The Department of Forestry at Southern Illinois University Carbondale is accepting applications for a full-time 9-month academic year, non-tenure track renewable term teaching appointment at the rank of Assistant Professor of Practice. Required Qualifications: Qualified applicants must have 1) B.S. in Forestry 2) a Ph.D. in Ecology, Forestry, Soils, or other natural-resources related fields with relevant coursework or experience to satisfy teaching requirements, by the effective date of hire 3) Strong communication skills and a demonstrated ability to teach effectively at the undergraduate level, particularly in courses with field based labs. A record of scholarship and research including peer-reviewed publications is preferred. Application Deadline: April 8, 2019 or until filled, with an effective date of hire, August 16, 2019. Application Procedure: Complete applications require: (1) letter of application, (2) curriculum vitae, (3) unofficial transcripts (official required prior to hire) (4) statement of teaching accomplishments and philosophy, and (5) a listing of three professional references with complete contact information including address, email and preferred telephone numbers. Applications must be received by post but preliminary materials may be sent electronically. Send materials as one PDF file to: plc1@siu.edu. Send hard copies to: Jim Zaczek, Department of Forestry, College of Agricultural Sciences, 1205 Lincoln Drive, Mail code 4411 Southern Illinois University, Carbondale, IL 62901.